Gerhard Boehm steered Peguform through a restructuring process that returned it to profit before its sale to Polytec in 2008. Continental AG has tapped a powertrain engineer with CEO experience at Peguform to take the helm of its engine-management systems unit, effective Jan. 1. 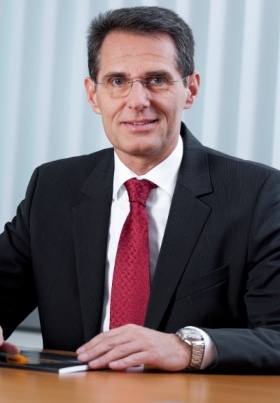 Gerhard Boehm, 53, replaces Peter Gutzmer, an executive vice president of Schaeffler Group, Continental's controlling shareholder, as head of the unit. Gutzmer, 57, had been acting chief for more than a year, in addition to his other responsibilities. Boehm had been a business consultant since 2008, when he stepped down as CEO of automotive-interiors and plastics supplier Peguform GmbH after the company was sold to Austria's Polytec Group. Between 2005 and the end of 2008 he steered the privately held company through a restructuring process that returned it to profit before its sale to Polytec. From 1999 to 2005, the Nuremberg native held various senior positions at Federal Mogul, a leading supplier of engine components for the auto industry. He began his career at aluminum producer Alcan, where his responsibilities included oversight of the piston business. Boehm is joining Continental at a critical time for his new business unit, Avila emphasized. The unit develops and manufactures fuel-management and injection systems for diesel and gasoline engines. 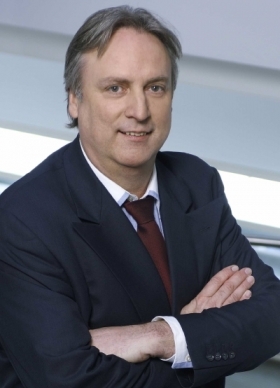 Peter Gutzmer will now focus on his roles as president of technical product development for Schaeffler Group and executive vice president of Schaeffler Group Automotive. Under Gutzmer, the Continental unit won a PACE Award for 2010 from Automotive News Europe sister publication Automotive News for developing a smart nitrogen-oxide sensor that helps gasoline and diesel engines operate at optimum efficiency. The PACE (Premier Automotive Suppliers Contribution to Excellence) awards, now in their 17th year, honor superior innovation, technological advancement and business performance among automotive suppliers. With worldwide automotive sales of $18.75 billion, Continental ranked No. 4 on the Automotive News Europe list of the industry's top 100 global suppliers in 2009. Schaeffler ranked No. 38 on global OEM revenue of $3.8 billion. The family-owned Schaeffler, principally a maker of roller bearings, directly and indirectly holds an approximate 75 percent stake in Continental following its hostile takeover bid for the bigger company in 2008. The companies have intensified cooperation in purchasing and development and have said a full merger is still a possibility.